Here’s a clip of Rod Stewart’s song “Every Picture Tells a Story”, on which he is joined by two members of the Faces (co-writer Ron Wood on guitar, and Ian ‘Mac’ McLagan on the organ…) as well as blues-rock vocalist Maggie Bell. A few months ago, I wrote an article on the Faces, mentioning that while Rod Stewart fronted that band, he had a concurrent solo career on the Mercury label. It was, as most rock historians and fans agree, a creative purple patch for him and his associates in the Faces. Of those Mercury albums, 1971’s Every Picture Tells a Story is arguably the highest point, the title track being a truly epic work. I was struck by what an enormous song this is, a travelogue of a young man hitching around the world on a quest to find himself. And Maggie Bell’s backing vocal demonstrates the work of someone who deserved a much wider audience. 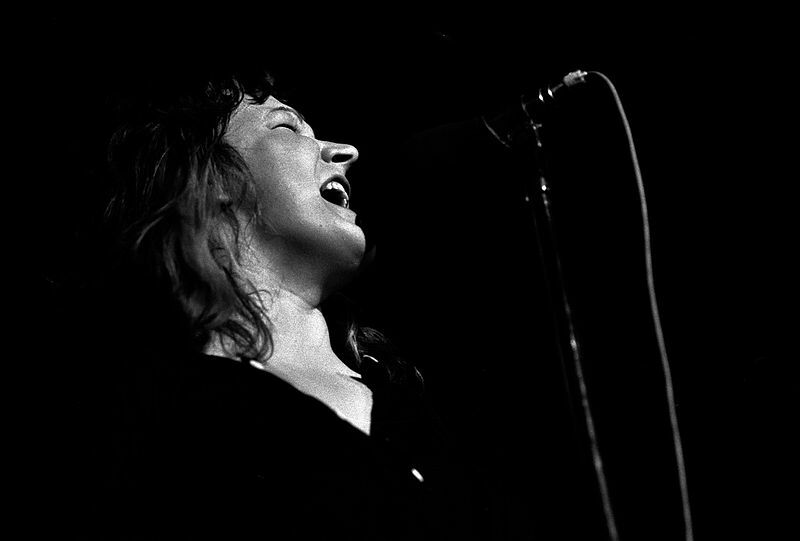 Bell had been lead singer of the band Stone the Crows (as they were named by future Led Zeppelin manager Peter Grant, who was impressed by the group on seeing their live act…), and marketed as the British Janis Joplin. She went solo in 1973 when the band broke up, and in the following year, she signed on to Led Zeppelin’s Swan Song label, maintaining her association with Grant, and working with Jimmy Page on her 1975 album, Suicide Sal. Her career never reached the heights her talents promised, despite the company she kept. Yet on this track with Stewart, she adds an abrasively bluesy kick, answering Stewart’s intensity note for note – which wasn’t easy to do in 1971. For more information, check out the Maggie Bell official website. And do check out Rod Stewart’s ’69-’74 period, which has a consistency of quality which boggles the mind, considering the drastic drop-off from that point onward. Black Crowes fans in particular must take note of the importance of Stewart’s output during this period.